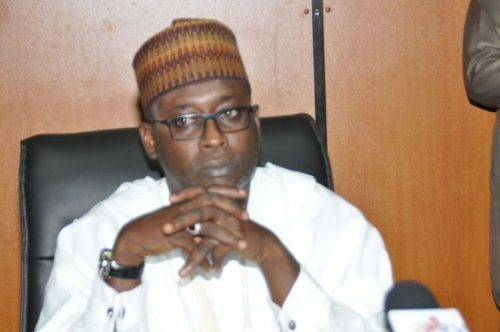 The Minister of Water Resources, Suleiman Adamu, says the Federal Government has spent N810.9m on the Ota water scheme, which had been abandoned for 31 years. He stated this on Tuesday at the site of the project at Arobieye Village, Iju in Ado Odo/Ota Local Government Area of Ogun State during the signing of the Memorandum of Understanding between the Federal Government and the Ogun State Government on the revival and completion of the project. Governor Ibikunle Amosun signed for the state government, while Adamu endorsed the agreement on behalf of the Federal Government. Apart from reviving the water scheme, the MoU also covers the Partnership on Expanded Water Supply, Sanitation and Hygiene, otherwise known as PEWASH. Adamu said, “The Federal Government has expended a total sum of N810,948,172.70 on the project. After inspecting the facilities on ground in company with the governor, Adamu noted that Nigeria still had significant challenges in accessing adequate potable water supply, sanitation and hygiene. He said recent statistics indicated that only 69 per cent of the country’s population had access to improved water supply from all sources. Adamu, who added that for pipe borne water on premises, the situation had been on the decline, sliding from 32 per cent in 1990 to seven per cent in 2015, explained that it was even worse with sanitation as only 29 per cent of the population had access to improved sanitation. He noted that the Sustainable Development Goals required more deliverables than the Millennium Development Goals, which ended in 2015, hence the need for proactive actions on the project. On his own part, Amosun described the revival of the Ota water scheme and PEWASH programme as a further demonstration of the synergy that existed between the state and the Federal Government.